If you do not buy Health Insurance at this time, you cannot purchase Health Insurance later in the year (until the following open enrollment) unless you have a qualifying event. You also cannot switch plans mid-year without a qualifying event. Married or divorced and lost qualifying insurance. For a full list of qualifying events, click here. Rules: You MUST notify your agent and complete your change within 60 days of the event! If it isn’t completed in that time, you lose the opportunity to switch. If I don’t have a qualifying event, and I missed the enrollment period, can I still sign up for health insurance coverage off Marketplace? Depending on income, you may be able to qualify for Medicaid or CHP+ outside of open enrollment and then if your income changes for the better, you then may be able to qualify for a tax credit instead as a change in the status of a subsidy is a qualifying event. Remember, if you are not applying for assistance now, you cannot apply later based on a financial change. 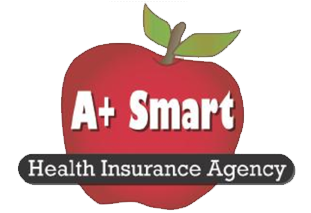 If you could possibly be eligible for financial aid throughout the year, A+ Smart Health Insurance Agency strongly recommends that you apply with connectforhealthco.com during open enrollment. We also are able to help small business owners purchase a business group of two or more employees to gain coverage outside of open enrollment. Beyond those possibilities, we suggest you contact our office to determine if we can ferret out a true qualifying event, it is our pleasure to help you! What is the difference between EPO, PPO and HMO plans? EPO No No Yes, for non-emergency events. PPO No No Yes, for non-emergency events. Health Savings accounts are bank accounts that are stipulated for use with a Health Savings compliant Health Plan. Your agent will walk you through a Health Insurance Plan that is HSA compliant but it is up to you to open the bank account with the bank of your choice for the tax savings. For more information, please contact your tax preparer or the IRS. If Over age 55: add 1000 to either amount. If Over age 55, add 1000 to either amount. Why was my appointment cancelled? Your appointment with a broker may need to be moved throughout Open Enrollment due to your subsidy being incomplete. If your subsidy isn’t ready, you technically can’t shop for coverage as you don’t know the cost. If you tax credit isn’t available yet, we simply give the Department of Medicaid more time to work on your tax credit. Remember, if they are LATE, it is an error on their part, and you may qualify for a special enrollment later on, due to their error. If you would really like to light a fire under them, please visit your local Department of Health & Human Services to sit down with one of their representatives to adjust, change, or complete your application. Thank you for understanding that our time, for both of us, is valuable, and others may be able to use that time for their enrollments, too, so they free up time for your application later on. Is my health insurance rated on my preexisting health condition? Rating factors that determine individual health insurance premium are no longer based on a person’s health conditions. In Colorado, your individual health premium will be based on age, geography (the zip code of your home address), and tobacco use. Once enrolled, the company cannot change the price of your individual premium until the following calendar year and you, the client, are not able to change plans until January, unless you have a qualifying event. Who is is eligible for a subsidy? If your gross household income(before taxes are taken out) is at or below what is listed in the table below or if you are pregnant or disabled, you may qualify for free low cost state medical programs known as Medicaid and Child Health Plan Plus (CHP+) or Advance Premium Tax Credits and Cost Share reductions that can reduce out of pocket costs and Health Insurance Premiums. Pregnant women count as two people for the Department of Medicaid programs that involve Medicaid and CHP+, however for a tax credit you will gain the additional person on the day of their birth. Please discuss your individual household with your broker for MORE details!!! This form was updated on 10/1/2018 and may not be perfectly accurate due to occasional changes in the Federal Poverty Level guideline or possibly new changes from the State of Colorado. It is estimated that individuals at 100% to 400% of the Federal Poverty level will be eligible for a subsidy of some sort. Eligibility for your potential subsidy can be determined by letting us help you review the Federal Financial Assistance Guidelines to determine the possibility of a subsidy and then submitting your application for verification with the department of Medicaid. Normally a person/ family is turned down for Medicaid and approved for a subsidy in a single letter. Should I apply for a subsidy? Common Outcomes Examples for people who may or may not qualify for a subsidy. Income Stated for 2015, $30,000. Based on zip code and DOB Subsidy determined $200 per month benefit. How to avoid this: Please contact agent if income is in excess of statement to Department of Medicaid. Based on income stated, no subsidy provided. Income determined at tax time = $30,000. Client received no subsidy but was technically eligible. How to avoid this: If there is any possibility of income dipping below subsidy guidelines, apply with ConnectForHealthCO to be able to gain Premium Tax Credit at a later time. If I qualify for Medicaid, do I also qualify for a subsidy? My employer is offering money through a cafeteria plan, can I use it towards premiums for a subsidized plan on Connectforhealthco.com? What if I estimate low for a subsidy and earn more than anticipated? You may need to pay back part or all of the subsidy amount. How long does it take to apply for a subsidy? We have seen the process as fast as minutes and as slow as months so it is best to get it started early if you would like to apply for a subsidy. Which policies are compliant with the Affordable Care Act? Which policies are not compliant with the Affordable Care Act if purchased by themselves and could lead to a penalty? What kinds of tax credits are there? APTC: Advance Premium Tax Credit, this is the “Money” part of the tax credit, paid directly to the carrier on your behalf if you qualify. CSR: Cost Share Reduction, this is the “lower deductible, better benefits for free” part of the tax credit, adjusted directly with the carrier if you qualify. Can Small Group Health Insurance Plans get a tax credit? Small Group Health Insurance Plans are only able to get a tax credit when they purchase a plan through the marketplace. We recommend determining your eligibility by checking with a certified broker before starting the process. Do children have a mandate to have pediatric dental coverage?